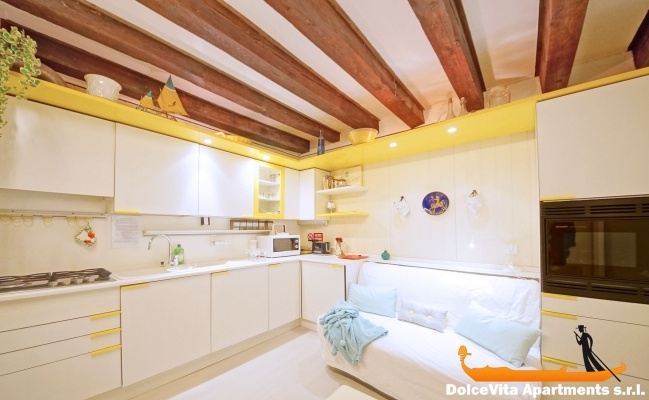 Apartment N. 185: It can accommodate up to 4 people, it is rented from 65 € per Night (not per person). 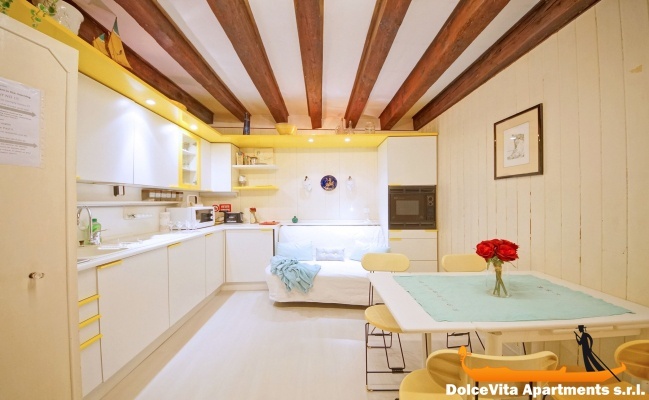 Venice Apartment in Santa Croce Area: Comfortable apartment on the third floor in Santa Croce district, it is composed of: living are with kitchenette, one double bedroom and one bathroom with shower. 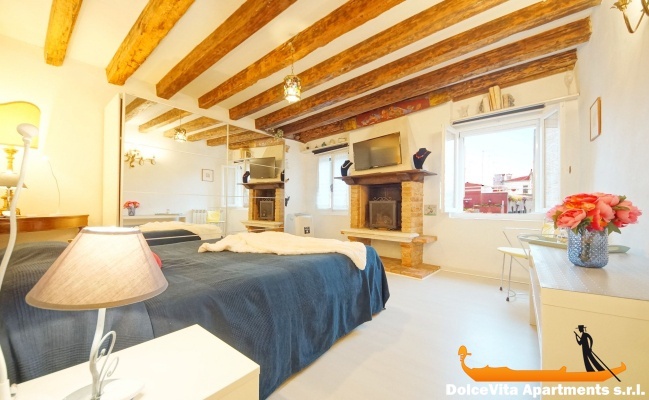 The kitchen is well equipped (including a toaster, oven, microwave and refrigerator), in the bedroom there is a fireplace (switching fire is not allowed in Venice) and plasma TV. Also available free WI-FI connection. 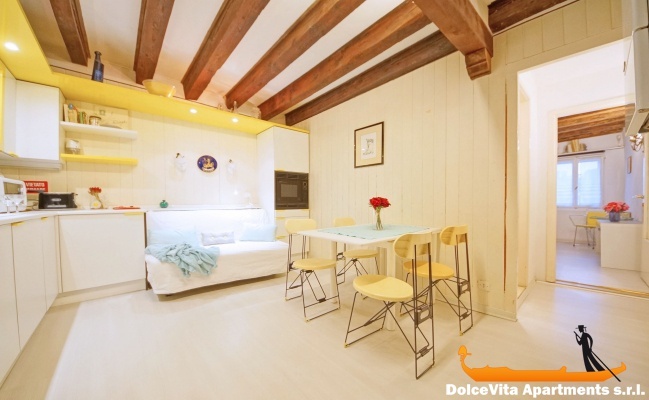 The apartment is in the center of Venice, very close to the Museum of Natural History (less than 20 meters), and thanks to a comfortable sofa bed can accommodate up to 4 people. 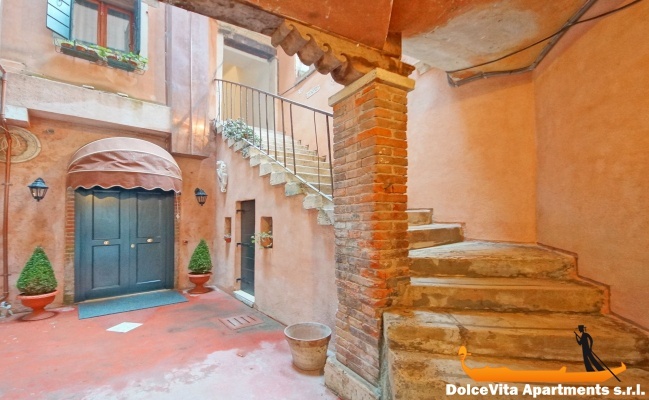 It is ten minutes far from the Rialto Bridge and a 2 minutes walking from “Palazzo Mocenigo” and from San Giacomo dall’Orio square; only 250 meters from the Church of “San Stae” where you can find also the water bus stop in front of the church. The apartment is well served as regards shops: within 50 meters there are supermarket, newsstand, greengrocer, ice-cream shop and bars. We are very happy with our stay in Venice. The appointment at the arrival of night vaporetto is very reassuring.Thank you for the welcome and advice. Apartment very well located, clean and calm assured. 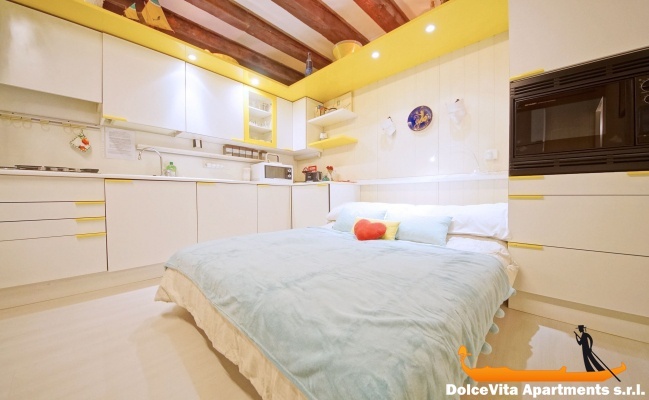 The apartment is very well located and easy to reach, in a quiet area. The apartment is well-equipped and arranged in a nice way. The books and other items bring comfort. 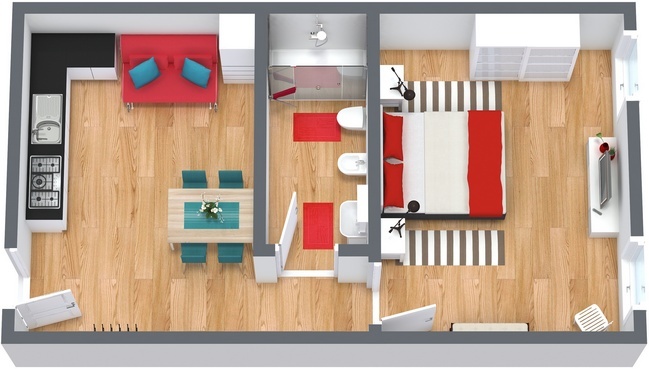 The appartment is located in a nice and central location. It is clean and well equiped. Silvio was available before we arrived and guided us kindly and well. 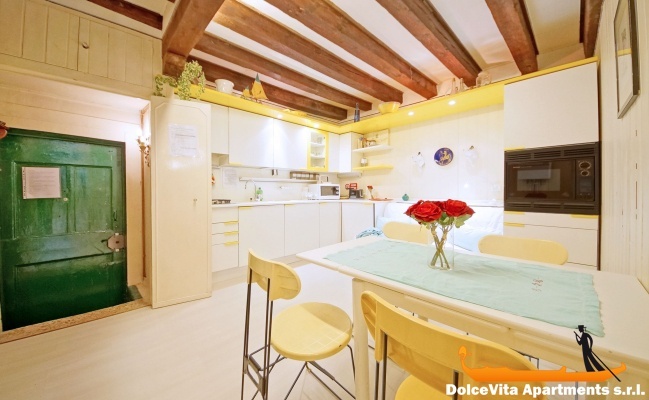 Although only 2 rooms it met all our needs and it was in a great location, close to a vaporetto, supermarket, good restaurants and pastilleria. San Marco, Rialto, railway and bus station all walkable. It was unavoidable but the building was scaffolded and netted which spoilt the view and light. Fosca met us on time and explained everything we needed to know at the apartment. She was helpful and charming. The view over the roofs, from the windows, is very nice. 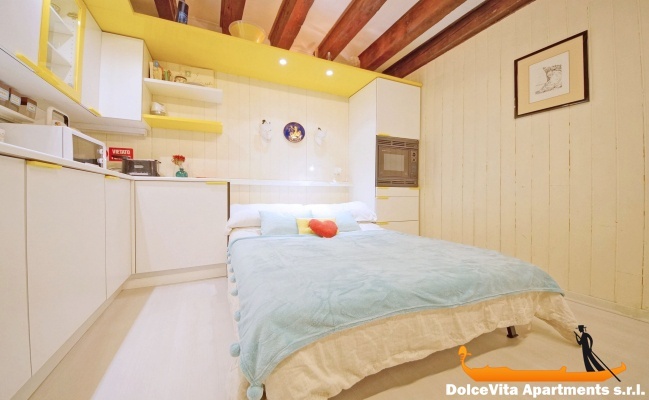 It is comfortable for 4 people, it is clean and quiet. my stay in Venice was pleasant but unfortunately short. The rating of the apartment is 4, clean, quiet area, close to shops and restaurants and not far from the center. Good location, friendly and well tidy. Good location in quite area. Standard not too good but have the basic things we needed. Did not manage to get the micro to work but the heating own worked okay. Only things we really missed was a wine opener and a good knife. 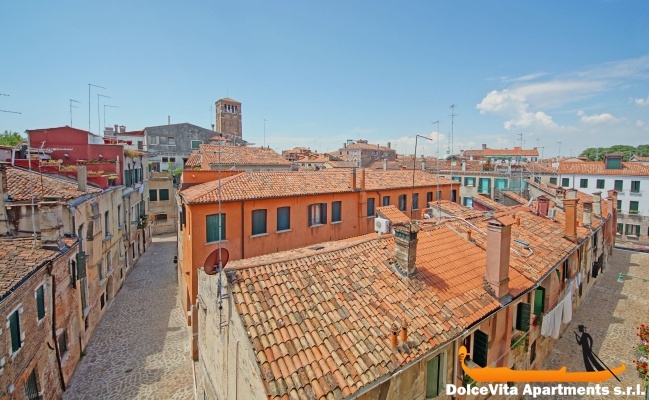 This apartment is well located, very clean and everything is convenient, the view over the roofs of Venice is very pleasant and we have already recommended it. Simple but tasteful. Proximity to shops is appreciable and the area is very nice. We were very well received by Orsola. We can do only compliments for the service and for the apartment. I enclose a photo of us taken in apoliniens salons of the Fenice. Apartment equipped with all necessary elements to make your stay complete. Located in a quiet and picturesque area. All services nearby. We liked the apartment, very well equipped. We liked the location because we were in the center, next to the Museum of Natural History, in a very quiet and pleasant area with the Venetian atmosphere, almost no tourism.